Last week I got to sample the exciting and delicious menu at the super-hot Peel Street bar 2nd & 6th, so you can imagine my delight at being asked back to sample their new cocktail list. 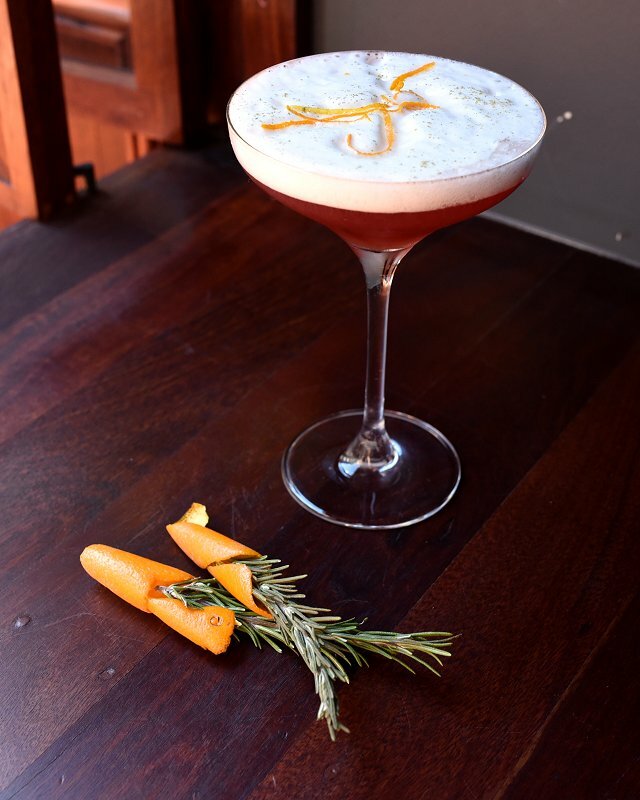 This is a serious drink menu, each ingredient is carefully considered using as many local ingredients as possible. They are twists on the classics, each one refined, considered and potent. With no cocktail umbrella or novelty straw in sight, it’s a celebration of liquor and mixology with a touch of molecular flair. A prime example of 2nd & 6th’s showcasing of local ingredients is this Negroni. Using David Danbys Ounce Gin, produced locally at Gumeracha’s Applewood Distillery using eleven botanicals that have been blended perfectly for Negroni Cocktails. The Gin is balanced with Maidenii Sweet Vermouth, produced in Victoria and Applewood Distillery’s Red Okar; a bitter aperitif similar to Campari. There will be a bottle of this making its way to my liquor cabinet as soon as I can get my hands on it. The result is a locally made Negroni style beverage, shaken so as to not dilute further with the inclusion of ice. Finished with a foam of dry curacao and garnished with freshly grated orange zest and rosemary dust to send the senses into overdrive. Young Henrys is an innovative Sydney based brewery with a focus on low environmental impact and the local community. They have recently branched out into spirits and this cocktail combines their Noble Cut Hopped Gin and Natural Lager. The beer is poured straight from the tap and lifted with some fresh lemon. The result is a super refreshing beverage reminiscent of a Shandy, but ever so potent. Described by the mixologist as “a weird baby conceived by the salty dog and the dry martini”, this drink is 2 cocktails in one! 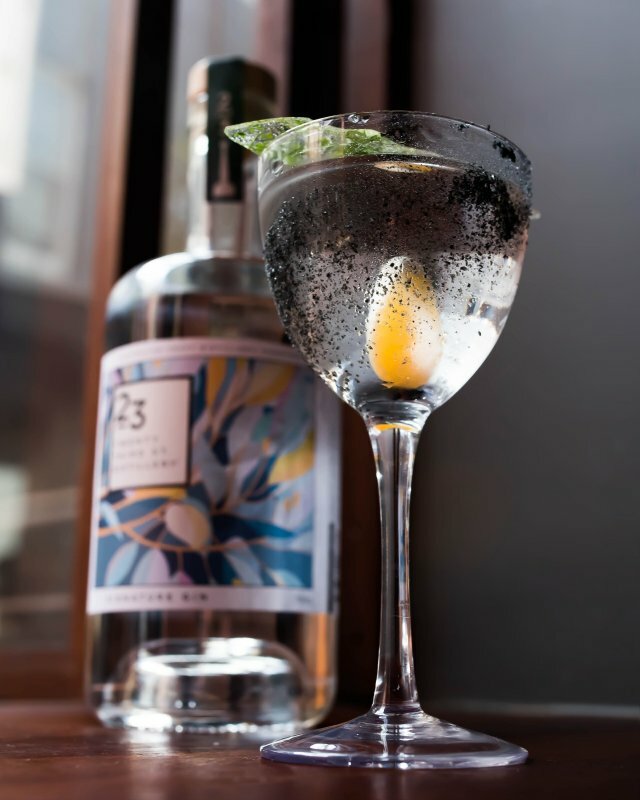 ‘Signature Gin’ from 23rd Street Distillery is served in a glass rimmed with soft black Cyprian rock salt. The gin, sourced from Renmark, is stirred down with Fig & Cinnamon bitters from Melbourne Company Mister Bitters. Now the part where things get fancy – a molecular technique called reverse spherification is used to create a jellified ball of fresh mandarin, ruby red grapefruit and navel orange. This complements the mandarin aroma of the Signature Gin. Garnished with a spear of coriander infused rock candy which you can use to pop the sphere, releasing the citrusy filling. There is also the option to submerge the spear in the drink in order to dissolve the sugar and transform the drink. A unique way to tailor the beverage to your own liking. This cocktail is yet another take on the classic martini. 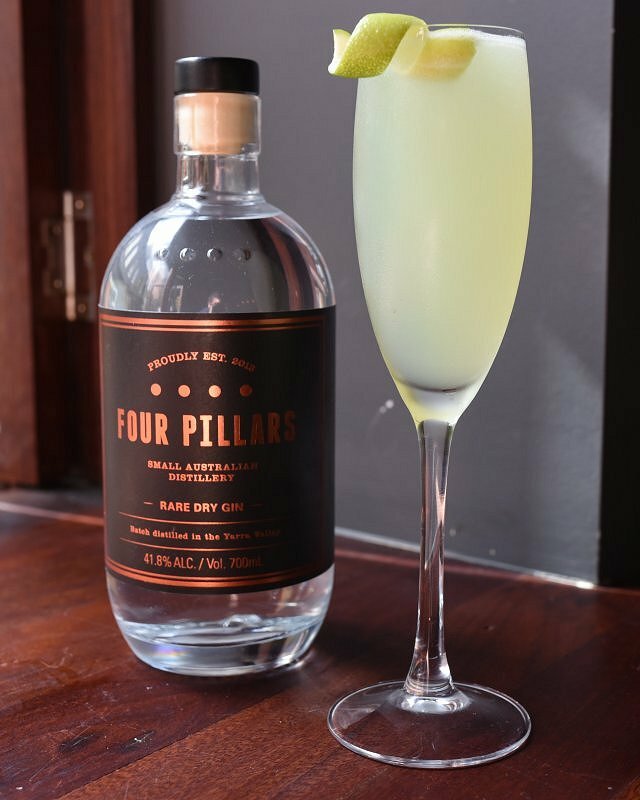 Four Pillars gin is stirred down with Noilly Pratt – classic dry martini ingredients. Giving interest to this drink is the addition of Violette liqueur. A simple and elegant drink that packs one hell of a punch. It is dry and strong, definitely not for the faint hearted. 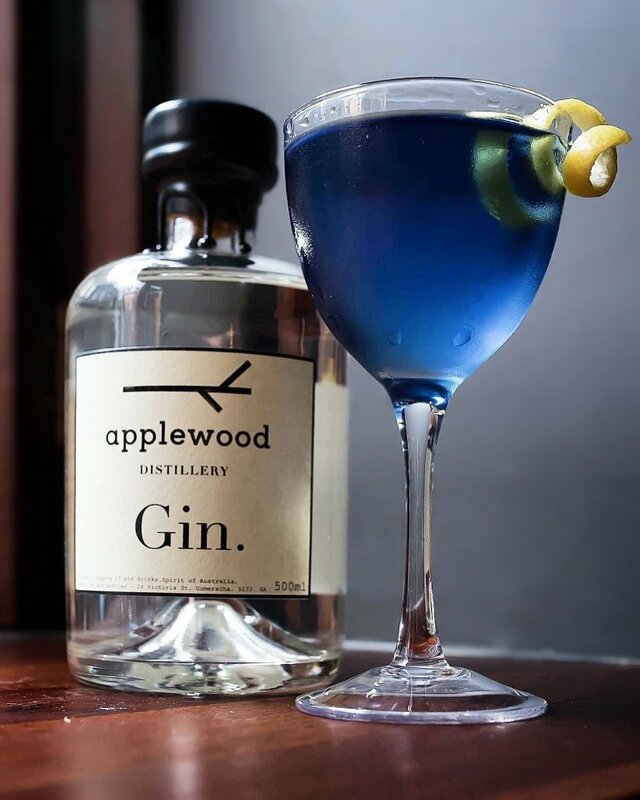 Again we see the use of Gumeracha based Applewood Distillery’s Gin, this time showcased in a well-loved modern classic Last Word cocktail. Green Chartreuse, Luxardo Maraschino and Fresh lime, join the gin and are shaken over ice to produce a herbaceous neon delight. 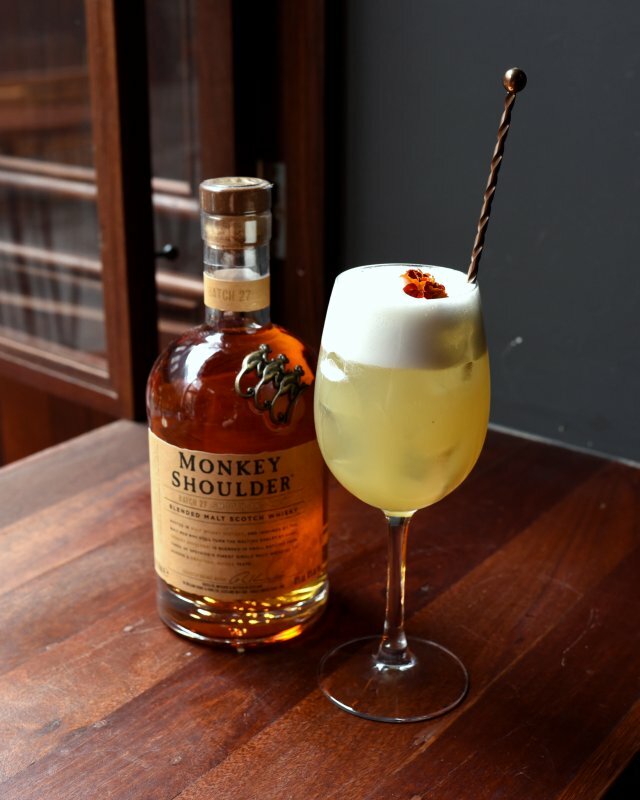 Perfectly balanced Monkey Shoulder Scotch Whisky is shaken down with fresh lemon and egg whites served in a glass rinsed with Le Fee Parisienne Absinthe and topped with a small amount of soda. 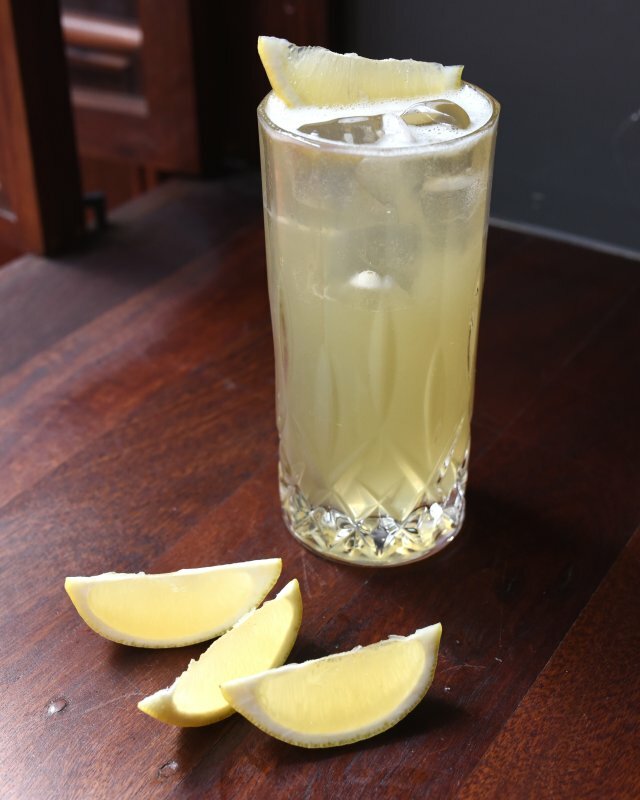 Sour and aromatic; this cocktail is one of the easier drinkers on the list. Reminiscent of a Whiskey Sour the Morning Glory Fizz plays the rich, earthy characters of the scotch with the bright, refreshing notes of lemon. 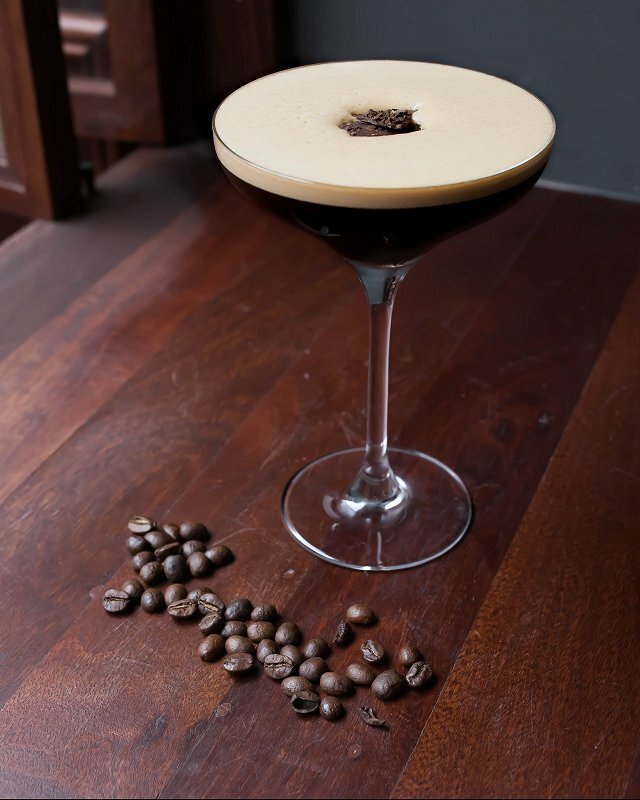 Anyone who follows Adelaide Food Central on Facebook or Instagram knows of our penchant for an espresso martini and we were very pleased with this version. Black spiced rum shaken down with fresh hot Italian espresso, Cognac based Creme de Cafe, Spiced Chocolate Bitters and Orange Bitters. The highlight was the raw coffee bean tempered dark chocolate that served as a replacement for the traditional coffee bean garnish. A stunning showcase of local produce is served up in these cocktails which are available now as part of 2nd & 6th’s ever-evolving drinks menu.